Tony Award-Winning, Jay-Z & Will & Jada Pinkett Smith Produced 'FELA' Is Coming to Detroit! Producers Shawn “Jay-Z” Carter, Will & Jada Pinkett Smith presents the hit multiple Tony Award-winning Broadway musical FELA! at the historic Music Hall Center for the Performing Arts, opening Tuesday, February 14th, with performances through March 4th, 2012. Fela! is the musical, based on the life of groundbreaking African composer, performer and activist Fela Anikulapo-Kuti. Fela! opened at the Eugene O'Neill Theatre to critical and audience acclaim in 2009 and subsequently received 11 Tony Award nominations. Ultimately winning three 2010 Tony Awards®, including Best Choreography, Best Costume Design and Best Sound Design. Fela! is the true story of the legendary Nigerian musician Fela Kuti whose soulful Afrobeat rhythms ignited a generation, is a triumphant tale of courage, passion and love, featuring Kuti’s captivating music and the visionary direction and choreography of Tony Award-winner Bill T. Jones. Inspired by his mother, a civil rights champion, Kuti defied a corrupt and oppressive military government and devoted his life and music to the struggle for freedom and human dignity. The Music Hall performances will feature the best of both the Broadway and London casts as the theater will be transformed into the set of a Fela Kuti stadium concert in 1976. The kinetic and sensual Afrobeat rhythms provide a mesmerizing soundtrack which help tell the story of this phenomenal musician, composer, agitprop firebrand, human rights pioneer and husband to as many of 27 wives, who not only changed the face of music, but also his home country of Nigeria. Detroit Labs, a new tech company that creates web, iOS, and Android applications for businesses ranging from local startups to Fortune 500 companies, today announced it developed Chevrolet's "Chevy Game Time" app that will be used to give away thousands of prizes during this weekend's big game. The eight-month-old startup used its passion for Detroit, incredible technology talent, and ties to local companies to win the opportunity to build the app. Chevrolet and its advertising agency, Goodby, Silverstein & Partners (GSP), pursued the idea for a large-scale mobile app that would engage consumers during the game and commercials through trivia, polls and drawings for 20 cars from Chevy and thousands of prizes from other game sponsors. 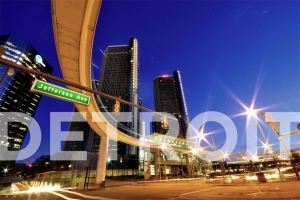 When it came time to select a company to develop the app, GM and GSP chose Detroit Labs because of their experience and connection to Detroit, the city where the companies are located. "It's been great to work with another Detroit-based company to bring this first-of-its-kind initiative to people across the country," said Joel Ewanick, vice president, Global Marketing, General Motors. "Detroit Labs has an experienced team that helped Chevy bring a great idea to life with the Chevy Game Time app." GSP and Chevy representatives stopped by Detroit Labs' downtown offices multiple times a week to collaborate on the project. 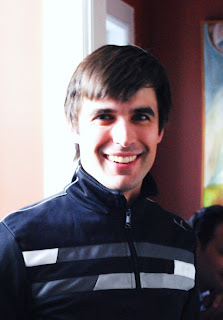 GSP created the look and feel of the app, while Detroit Labs was responsible for the development. "It was exciting to partner with the talented teams at Goodby and Chevy. Their commitment to this project's success, and to keeping work in Detroit, made the end result possible," said Paul Glomski, CEO and co-founder of Detroit Labs. GM and GSP also selected another Detroit-based company, ePrize, the largest interactive promotion agency in the world, to handle the instant win prize drawings. In addition to the Chevy Game Time app, Detroit Labs has completed projects for a wide-range of companies including Caesars Entertainment, Stryker, Quicken Loans, Made in Detroit, and more, and has grown from four to 16 team members in just eight short months. The company, one of many new tech startups calling downtown Detroit home, received an investment from Detroit Venture Partners (DVP), a venture capital firm that is rebuilding the city through entrepreneurial fire by funding early stage tech companies. Both companies are housed in Detroit's M@dison Building, a creative tech hub that opened in late 2011 and is home to a large assortment of promising local entrepreneurs and their budding projects and companies. "Company co-founders Paul Glomski, Dan Ward, Henry Balanon and Nathan Hughes could have taken their startup to Silicon Valley, Chicago, or one of many other entrepreneurial hot-spots in the country," said Josh Linkner, CEO and Managing Partner of Detroit Venture Partners. "Instead the four were eager to stay in Detroit so they could do their part to help develop an innovative, tech-focused urban core where people want to live, work and play." "In any other city we would have been one of thousands of startups just hoping to get noticed," said Ward. "Here, we're helping rebuild downtown and getting noticed by big companies that are also committed to Detroit." The Chevy Game Time app is available in the Android Market, Apple's App Store and at chevy.com/gametime. For more information about Detroit Labs, visit detroitlabs.com. Honor & Folly Detroit’s rap belies its many awesome alter egos (Motown, Motor City, Paris of the West). The city buzzes with energy, thanks to a recent revitalization. We tapped Meghan McEwen, a former CS Interiors editor who now calls Detroit home, to get her picks for a perfect weekend (and threw in a few of our own). 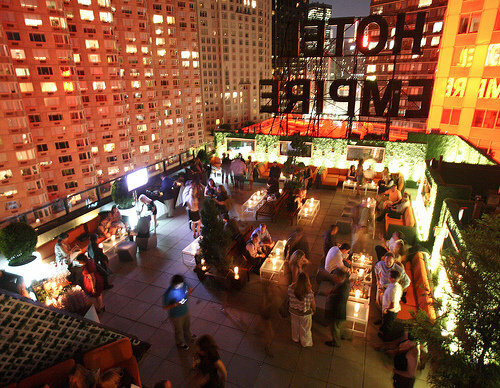 The newest, most charming place to stay is Honor & Folly. Helmed by McEwen herself, the tiny Corktown inn displays pieces designed by artists based in Detroit and throughout the Midwest. Supino For pizza, head to Supino Pizzeria in Eastern Market. 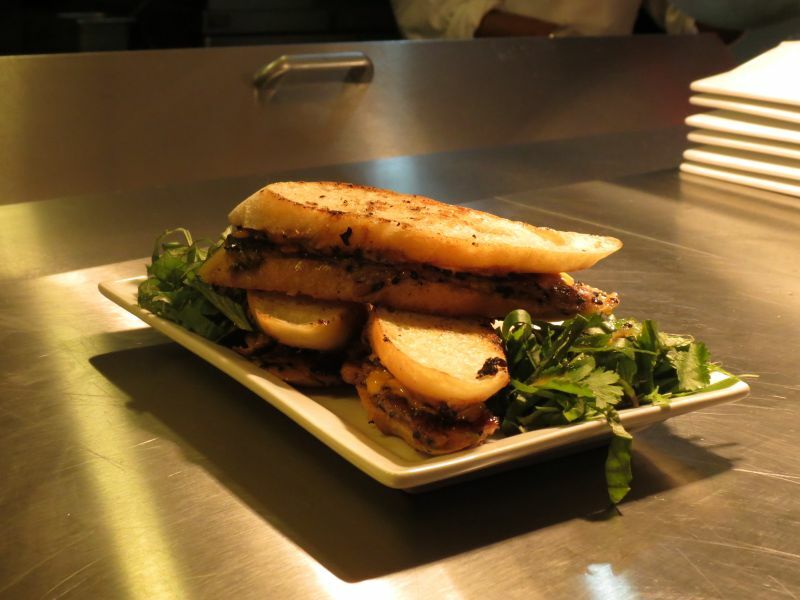 For a little bit of soul, Sunday Dinner Company serves comfort food with a side of good while employing people affected by crime and poverty (6470 East Jefferson Avenue, 313-877-9255). 71 Pop The rotating pop-up indie art shop hosts a rotating lineup of emerging artists and designers. Click HERE to read about the rest of the places Daily Candy visited! In a unique, non-competitive show about weight loss “Extreme Makeover: Weight Loss Edition” documents the amazing makeover of courageous, “super obese” people who, in an unprecedented 365 days, set out to safely lose half of their body weight, ultimately revealing an amazing metamorphosis. The term “super obese” is used to define those who exceed their estimated ideal weight by approximately 225 percent and who are roughly 200 pounds or more overweight. Trainer and transformation specialist Chris Powell (“The 650-Pound Virgin”) guides each of the eight participants through their transformation process by moving into their homes with their families or loved ones. By assuring that they have the proper nourishment and exercise movement, Chris will provide a fresh perspective to individuals whose lives have become unmanageable because of their weight. In each of the one-hour episodes, the participants undergo a transformation not only of their bodies, but of who they are as individuals. 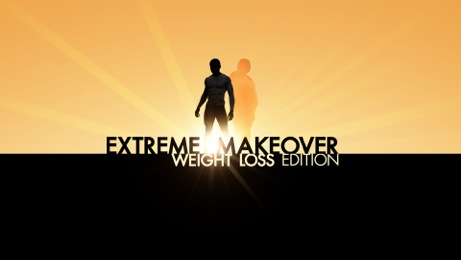 “Extreme Makeover: Weight Loss Edition” will chronicle each participant’s journey in a stand-alone episode as they go about reclaiming his or her life. We're beginning a nationwide tour to 9 cities across the country in search of participants for season 3 of the show. Along the way we will be stopping in Chicago, Detroit and Milwaukee. Although this may not be in your immediate area, we are hoping to have some candidates travel the short distance to meet with us in an attempt to change their lives. Candidates are asked to either attend an open call in one of the cities or send in a home tape. Information about how to apply can be found on the official casting website at www.extrememakeovercasting.com. Casting call attendees should bring a non-returnable photo. Casting Call Applications will be provided. 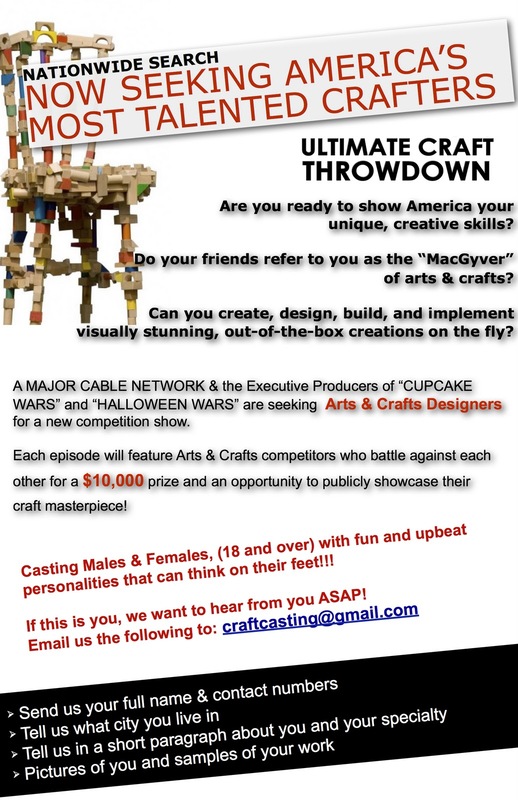 Click HERE to bring Gladiator Assault Course To Detroit! 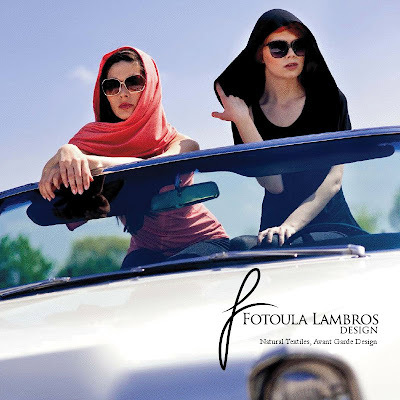 ARTEFUSE New York Features Fotoula Lambros Design's Big Debut in NYC! "An Empire State of Fashion"
Arte Fuse relentlessly gives you what’s the latest on all visual arts with coverage on gallery opening receptions, special museum exhibits, art fairs and the like but we love to mix things up here. 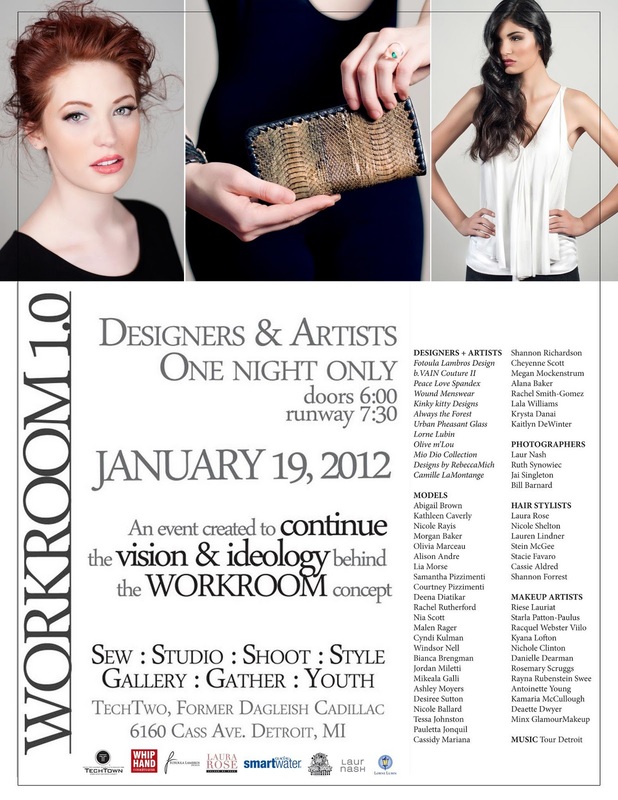 In honor of upcoming Fashion Week in February, Arte Fuse decided to make a cameo appearance at an Art-Fashion Event held at the Empire Hotel last January 27, 2012. 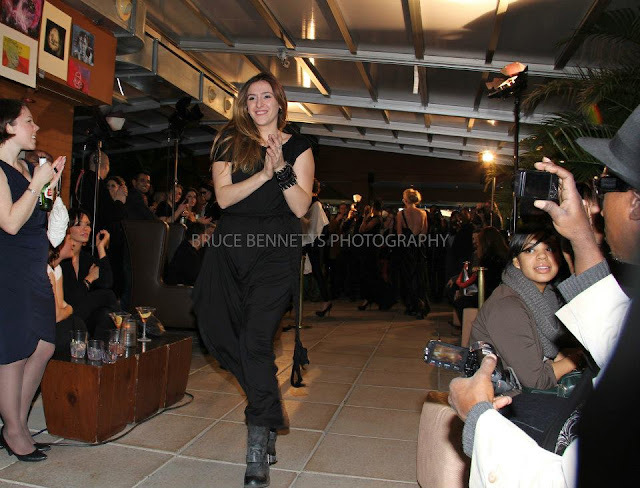 The Art of Fashion and Herbert Fox Productions with collaboration from DMA Productions, LLC held a rooftop extravaganza of an art reception featuring juried artists and two young fashion designers with a runway show. 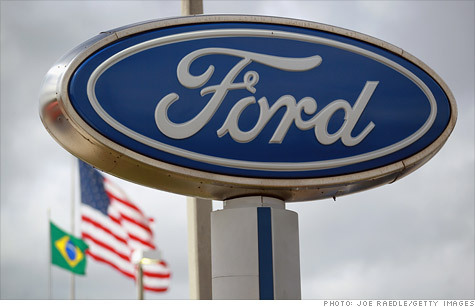 Ford Had It's 2nd Biggest Profit Ever in Company History in 2011! Ford reported its best annual earnings since 1998 on Friday, making 2011 the second most profitable year in the company's 109-year history. But much of the profit was attributed to a non-cash gain, as it put a large tax credit from past losses on its balance sheet that will shield it from taxes in the future. Excluding that credit, the carmaker posted full-year and quarterly earnings that fell short of last year's profit as well as analysts' forecasts. Shares fell 2.7% in pre-market trading on the earnings miss. Excluding special items, Ford (F, Fortune 500) reported operating income of $6.1 billion, or $1.51 a share, down from the $7.6 billion, or $1.91 a share, it earned on that basis in 2010. Fourth-quarter operating earnings of $787 million, or 20 cents a share, were down from $1.2 billion, or 30 cents, a year earlier, as flooding in Thailand that shut suppliers' plants hurt its results in its Asia-Pacific region. Analysts surveyed by Thomson Reuters had forecast earnings of 25 cents a share. The company announced earlier this month that its white collar workers would get both bonus payments and merit raises for 2011, the first time in four years they've received both. See How Detroiters Like You Are Impacting the City They Love. Join the 150. Detroit4Detroit is your opportunity to be one of 150 people starting a movement of citizen philanthropy to impact the city they love. If you have the passion to impact your community, we’ve got the tools and support needed to make you the fundraising leader for your Detroit cause. Our community projects give you the opportunity to partner with one of a diverse range of high-impact organizations that are changing lives in Detroit. 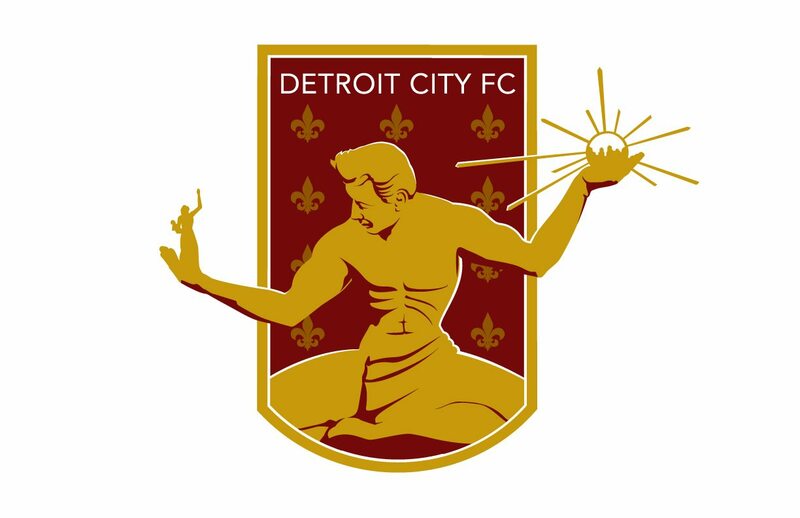 Anyone can be part of Detroit4Detroit. Now’s your chance to be the spark that starts a movement. Join the 150 and have an impact where it counts. Learn more about Detroit4Detroit HERE! Excerpt from "When The Lights Go Down In The City"
I’ve lived all over the country, and the idea that Detroit is somehow different, that what has happened there can’t happen anywhere else, seems faulty at best. Drive the bumpy streets of Los Angeles, wait for a subway in New York or pay income tax in Chicago, and you learn that there are budget problems everywhere. 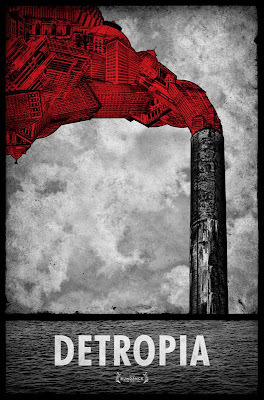 The troubles in Detroit seem worse simply because Detroit has fallen so far. The Detroit Knows Cars is a fine art exhibit to premier in downtown Detroit that will feature works from some of the best-known automobile artists in the country. Setting this exhibit in the Chase Tower Building lobby will give the exhibit high visibility as it will be launched on January 6, 2012, continuing the duration of the North American International Auto Show and through January 29, 2012. The exhibit will draw attention to the rapidly re-developing downtown Detroit, and is a fitting location for this exhibit that will become the newest legacy for the city that put the USA on wheels. Why is this event the next big thing in Detroit? Detroit knows cars -- it will be held in downtown Detroit – along historic Michigan Route 1 (Woodward Ave.) in January to be promoted during the 2012 North American International Auto Show at Cobo Center, offering a new, unique destination for art and automobile enthusiasts. This opening exhibit is the prelude to creating a major international automobile art competition beginning in 2013 offering cash prizes for “Awards of Excellence” – attracting the art world to Detroit much like the ArtPrize competition did to Grand Rapids. Invited artists include Tom Hale, a founding member of the Automotive Fine Arts Society (AFAS) along with AFAS members Jay Koka and Charlie Maher, popular young artist David Chapple, historic scene specialist Gerald Freeman, former combat artist Michael Goettner, vintage automobile photographer Jim Haefner, and sculptor Alex Buchan. The Motor City Automobile Art Exhibit will be on display every day from 8 AM - 6 PM in the lobby of the Chase Tower Building, and is free and open to the public. Celebrate Detroit's Diversity March 3rd at the 2nd Annual Detroit Harmonie! On March 3, 2012, Detroit Harmonie will host it's signature event, the International Experience, at the Virgil Carr Center located in the heart of Detroit's Harmonie Park. The International Experience is Detroit Harmonie’s second annual signature event celebrating the diversity and future of metro Detroit with live entertainment, food, and music representing several cultures in the community. The evening will include two competitions where Detroit Harmonie will deliver $50,000 in philanthropic funding to five social entrepreneurial organizations making the city of Detroit an attractive place in which to live, work, and play. 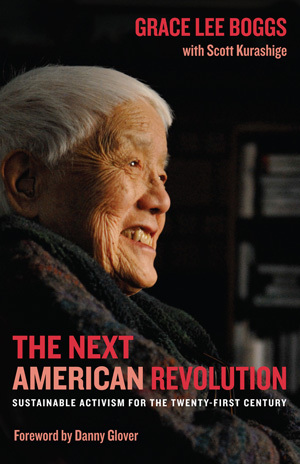 We travel to Detroit to meet the civil rights legend Grace Lee Boggs. We find the 96-year-old philosopher surrounded by creative, joyful people and projects that defy more familiar images of decline. It's a kind of parallel urban universe with much to teach all of us about meeting the changes of our time. Who is Grace Lee Boggs? Grace Lee Boggs (b. 1915) is an activist, writer, and speaker whose seven decades of political involvement encompass the major U.S. social movements of the past hundred years. A daughter of Chinese immigrants, Boggs received her B.A. from Barnard College (1935) and her Ph.D. in Philosophy from Bryn Mawr College (1940). She developed a twenty-year political relationship with the black Marxist, C.L.R. James, followed by extensive Civil Rights and Black Power Movement activism in Detroit in partnership with husband and black autoworker, James Boggs (1919-93). Grace Lee Boggs’s published writings include Revolution and Evolution in the Twentieth Century (with James Boggs, Monthly Review Press, 1974; reissued with new introduction by Grace Lee Boggs, 2008); Conversations in Maine: Exploring Our Nation’s Future (with James Boggs, Freddy Paine, and Lyman Paine; South End Press, 1978); and Living for Change: An Autobiography (University of Minnesota, 1998). Her writings and interviews with her have also been widely disseminated through newspapers, magazines, websites, and academic journals. At the age of 96, Grace remains much in demand as a public speaker and exceptionally active as a community activist and weekly columnist for the Michigan Citizen. Her many honors include honorary doctorates from the University of Michigan, Wooster College, Kalamazoo College, and Wayne State University; lifetime achievement awards from the Detroit City Council, Organization of Chinese Americans, Anti-Defamation League (Michigan), Michigan Coalition for Human Rights, Museum of Chinese in the Americas, and Association for Asian American Studies; Detroit News Michiganian of the Year; and a place in both the National Women’s Hall of Fame and Michigan Women’s Hall of Fame. Get tangled up in Disney’s 50th animated feature with Rapunzel and Flynn and enter the worlds of your other favorite Disney princesses –Tiana, Cinderella, Jasmine, Ariel, Sleeping Beauty, Belle, Mulan and of course, the one who started it all, Snow White. Ahoy, Mateys! Set sail with Peter Pan, the always sassy Tinker Bell and the cantankerous Captain Hook and his pirate pals on an adventure beyond Never Land! Trek the wilds of Africa with Simba, Nala, Pumbaa and Timon as they discover the true meaning of the ‘Circle of Life.’ Tick-Tock! Tick-Tock! Don’t be late to a very important date with Alice and the Mad Hatter as they march with the Queen of Hearts’ Army of Cards. 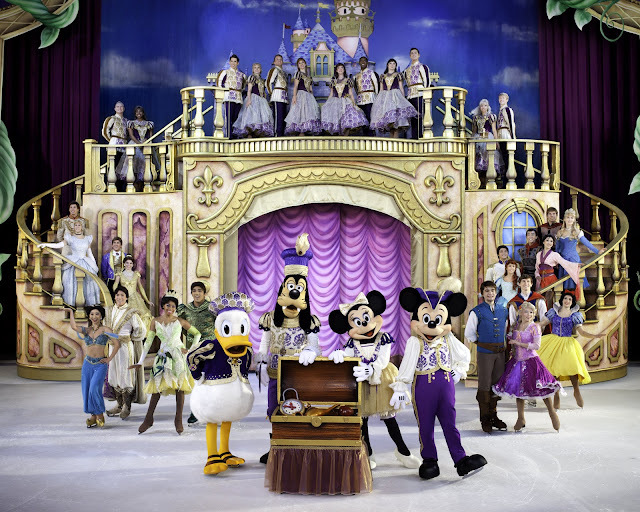 Relive magical moments in this ultimate Disney animation celebration coming to Auburn Hills! Don’t miss Port Huron’s Justin Williams and Deford, Mich. native Katelyn Walter, both ensemble skaters in the show. Showtimes: · Wednesday, March 14 and Thursday, March 15 at 7:30 p.m. · Friday, March 16 at 11 a.m. and 7:30 p.m. · Saturday, March 17 at 11:30 a.m., 3:30 p.m. and 7:30 p.m. · Sunday, March 18 at 1 p.m. and 5 p.m. The Detroit Symphony Orchestra (DSO) is thrilled to announce it will perform at Carnegie Hall for the first time in 17 years. The DSO is one of six orchestras that will participate in the third annual Spring For Music festival. On May 10, 2013, the DSO will perform all four Charles Ives Symphonies in one extraordinary three-hour program, becoming the first orchestra to do so for New York audiences. Spring For Music is a six-day festival that features six major American orchestras, all selected based on the imaginative nature of their proposed programming and how it aligns with the philosophy of each orchestra. The affordable, general admission ticket price, just $25, is designed to make adventurous repertoire available to anyone and everyone. In 2013, the DSO will perform along with the Baltimore Symphony Orchestra, Albany Symphony Orchestra, Buffalo Philharmonic Orchestra, Oregon Symphony and the National Symphony Orchestra. Music Director Leonard Slatkin chose an immersion into Ives in pursuit of showcasing the strength, sound, ensemble and style that is uniquely Detroit. Long known for celebrating American repertoire through recordings and commissions, telling Ives’ biographical story through the consecutive performances of all his symphonic works serves as a tribute to both Slatkin’s affinity for American compositions and Detroit’s longtime acquaintance with the American school. Slatkin, who considers Ives to be one of America’s most progressive composers of his time, imagined the four-symphony program as a way to acquaint the audience with his style. In support of the Orchestra, a Detroit contingent will be accompanying the musicians to New York. For more information about joining us, call 313.576.5147. Patrons may reserve their ticket now at the Max M. Fisher Music Center box office (3711 Woodward Ave.) or by calling 313.576.5111. Employees of the online mortgage lender take immense pride in its move from the suburbs to downtown Detroit: "We're taking [the city] from its lowest point and bringing it back to the spotlight it deserves." Rachel Grady and Heidi Ewing's new documentary, Detropia, is a sobering film that examines Detroit as a microcosm of American history and identity. The documentary duo's second film to premiere at Sundance (following Jesus Camp in 2007), Detropia leads us through majestic buildings turned vacant and crumbling, to Union meetings, where autoworkers grapple with yet another pay cut, and to the last performances at the Detroit Opera House. We are told that one family departs Detroit every 20 minutes; that 10,000 homes are being demolished. In short, Detropia is not exactly light-hearted family fun. 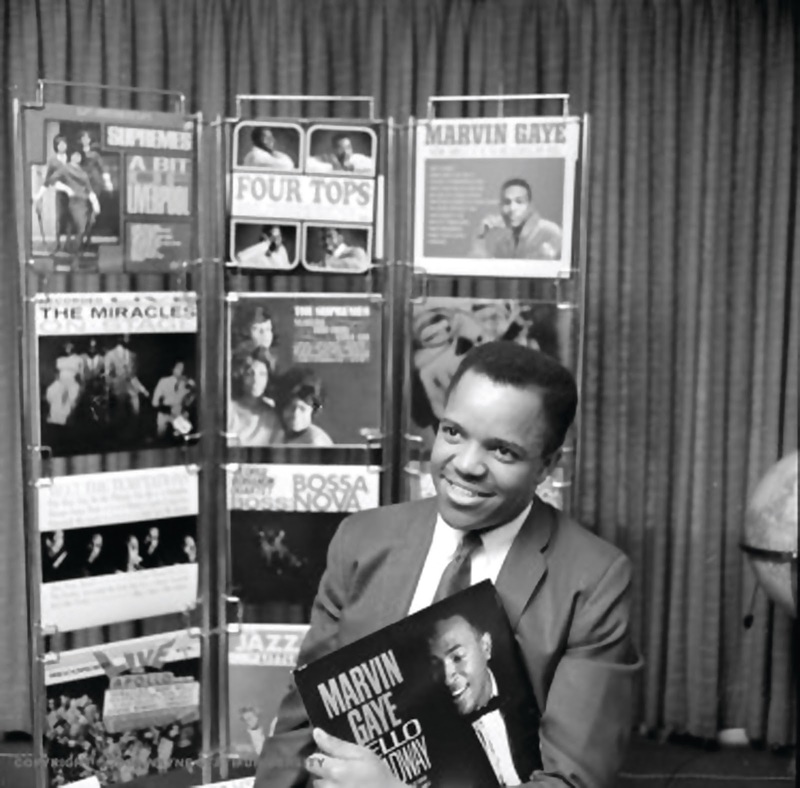 But this is hardly surprising; while once a thriving metropolis, a promised land of prosperity for southern farm workers, and the home of Motown superstars, these are no longer the associations that come to mind at the mention of Detroit today. Detroit's decay has popped up in Michael Moore's Roger and Me, Ben Hamper's frightening memoire Rivethead, T.J. Sugrue's college course staple The Origins of the Urban Crisis, and, of course, Eminem songs and 8 mile. We spoke with one-half of the film's directing team, Rachel Grady, about what she hopes Detropia will add to the public perception of the city, and how she stays objective when dealing with such an emotionally charged subject matter. GRADY: Yeah, it's very sad, but I hope that the characters leave some hope with you, because they do with me. They're so strong. GRADY: We met working for another filmmaker and I just thought [making documentaries] would be the coolest, best job in the world, and it kind of is! It's sort of like being a journalist: you get to change your topics; it's an education on so many different things all the time. And that's great for curious and short attention span-type people like myself. GRADY: A few reasons; it's my co-director's home turf, she grew up outside of Detroit, her family was born and raised in Detroit and she saw it happen before her eyes and told me about it. Then I had to go there a few times for work, it's shocking, it totally blew me away. GRADY: I didn't understand where the people were! It was empty, and that is a very strange thing for a modern metropolis with skyscrapers. [The city] is 140 square miles, it's huge, and it's lost half of its population so it just feels deserted. The question begged was "Why?" It seems so sudden, although [the exodus of people] was in huge spurts, it feels abandoned. BROWN: The devolution of Detroit is not a new topic—what did you hope to add to people's understanding of what's going on? GRADY: The humanity, that's what we were hoping to bring to it; the people who are still reeling from what has happened to their city, their identity. I see [Detropia] as a film that makes people question the American identity: what we are going to be, what we are going to call ourselves, how we are going to act and how we are going to treat each other in the next 100 years. You see the history of the United States in the city—it was short, it was dramatic, our arc was pointed and volatile and Detroit very much embodies that. I think it's a very relevant place. GRADY: We just canvassed the city. Heidi's from there, so we had a base of names and numbers, friends of friends, and we just started talking to people. Good old-fashioned journalism. BROWN: Your past documentaries have been praised for the "even-handed" manner in which you present your subjects, especially your more controversial subjects such as the Pentecostal children's ministers in Jesus Camp. You meet people at such vulnerable points in their lives, how do you manage to stay uninvolved? GRADY: It's a matter of trying to get to the story that people want to tell. You don't have to prod much, people will tell the story that they think is important, and that's the story you should be telling, not the one that you think is important. [Our subjects] have much more interesting things to say about the issue, so just let them go, create an environment that is comfortable and let them be themselves, and you will always you get your strongest material. If you’re not from there, you might only think of Detroit as the city with the massive population contraction. Or the one abandoned by the auto industry. Or the place with all the racial tension. Or maybe when you watched the Super Bowl last year, you were introduced to a Detroit you hadn’t considered. You saw Eminem driving a Chrysler 200 through a hard-nosed, never-say-die, lunch-pail city with the Joe Louis fist suspended proudly by the riverfront (ironically located just outside of General Motors’ headquarters). I’ve spent the better part of two years traveling to The Motor City to film “Lemonade: Detroit,” allowing myself to be absorbed by its zeitgeist, trying to find stories of reinvention that accurately reflect its brand . . . A brand I could have never fully – nor even partially – grasped without the first hand experience of being there. There are anecdotes of promise everywhere you look that belie what you think you know. I coudn’t begin to list even a tiny fraction of what makes Detroit’s brand so resilient, so proud, so inspiring. The Green Garage, which what was once an abandoned Model T showroom, has been reinvented into a collaborative workspace for sustainable Detroit entrepreneurs. 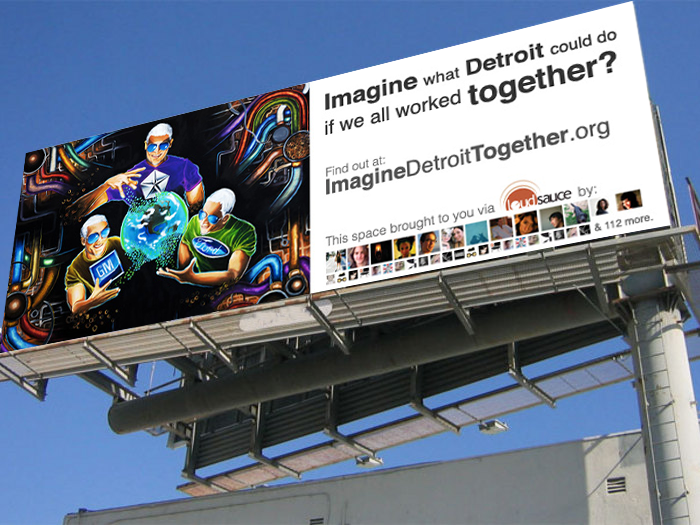 A coalition of 55 small businesses and individuals recently donated $3,500 to purchase a billboard featuring the work of Miguel “BeloZro” Yeoman, the artistic half Detroit based creative firm BeloZro Visual Energy. Due to concerns about potential lawsuits or other forms of retaliation from the Big 3, Lamar Billboard Company required that the logos of Ford Chrysler and General Motors be completely covered before displaying the painting. The billboard was erected Friday January 13th, and will remain for four weeks. It overlooks I-94 at Second Avenue, and is visible to eastbound travelers on I-94 well as Lodge travelers. This billboard is the first project by Imagine Detroit Together, is an initiative that was launched this summer by James Feagin and Jerry Paffendorf to find ways to share inspiring ideas and bring Detroiters together. James is the head of Marketing & Strategic Management for BeloZro Visual Energy, a creative firm based on the Yeoman’s artwork. Jerry Paffendorf’s other projects include Loveland, whydontweownthis.com, talktothesation.com, and raising $67,000 to build a statue of Robocop. The project raised $3,500 to purchase the billboard through The San Francisco based loudsauce.com focuses on ‘amplifying ideas that matter” by securing major media outlets such as billboards, television commercials, and bus signs at a discount to broadcast the messages of successful projects. For more information on the project, visit www.ImagineDetroitTogether.org. Detroit Listed As One of The Top 10 Downtowns in America! Dan Gilbert has deep roots in Detroit. And deep pockets. The founder and chairman of Quicken Loans is a third generation Detroit native and has become a major force in the city, bringing thousands of his employees into new headquarters downtown and helping to incubate new start-up businesses in the city. In addition to Quicken Loans, Gilbert is also the majority owner of the Cleveland Cavaliers basketball team, and, after a recent spree of purchases, he now owns more than 1.8 million square feet of property in downtown Detroit. This makes him the third largest land owner in Detroit, behind only General Motors and the city itself, according to Crain’s Business. Gilbert chatted with us about why he’s so involved in downtown Detroit, what he sees for its future, and how his approach to rebuilding the city can benefit his business and others. You’ve been buying up a lot of property in downtown. Why the focus downtown? People in their 20s and 30s, the best and brightest coming out of our universities, the vast majority of them want to be in a cool urban core in a hip city. Period. So, if we’re going to retain and maintain talent in our companies and have innovative creative people, we’ve got to make sure that we’re in the right locations that are going to generate the interest of those people. All of our businesses are Internet-related, technology-related, entertainment-related businesses. So thinking we’re going to do that in a suburban setting where people have to walk a couple hundred yards across asphalt in the middle of winter, it’s probably not going cut it for the kind of folks that we’re trying to attract. Kids don’t leave suburban Detroit to go to suburban Chicago or suburban New York or suburban L.A. They’re going to the downtowns. Most of the activity and the kinds of areas and the companies that are attractive to people who are the best and brightest in our view want to be in the urban core. How are you getting others to follow you downtown? We created this non-profit academy that trains entrepreneurs called Bizdom U, and another way is through a venture fund we started called Detroit Venture Partners that Magic Johnson, myself and two other local Detroit guys partnered on to fund companies and startup businesses with a big Detroit bent and a Detroit bias. We will invest in other businesses, but primarily it is Detroit companies. And funding Detroit-based ventures for startup businesses. And then we’ve got our real estate piece of it. One of the things people don’t realize about Detroit is that a lot of young people are moving back to downtown, but the inventory is very, very low. Occupancy is at about 98 percent. You can’t find a lot of lofts and apartments and places to live in, so there’s a huge opportunity for real estate developers to actually build residential because there’s just not the inventory. A lot of people think, ‘oh there must be so many vacant places. There isn’t. So we’re looking to do stuff there and partnering with developers on that front as well. I was born here and raised here. My father was born here, my grandfather was born here. I find myself in a fortunate position to be able to, I think, contribute to help leading the city back. And I feel like that’s a great thing to do for the city, but it’s also a great thing to do for our business. We have a “doing good by doing well” strategy here. And the investment in Detroit is one that’s significant and growing, and we’re doing it again so we can help tie all the threads here in Detroit and bring back the kind of downtown that people envision or even maybe have never seen here. We’re also trying to make good investments, and we’ve got values of property that are low by any historical standards. So we’re very excited about it. We think it’s just the beginning. We’ve got about 4,000-plus people we’ve moved down here in the last 18 months. And were going to continue to move more down here and bring in more businesses and do everything we can with a bunch of other people who’ve been working very hard even before we got here and try to make Detroit the comeback city of this decade. It's Official: After 6 Yrs of "The Great Michigan Flight," People Are Stickin' With The Mitten! I love stats, especially ones projecting good news. 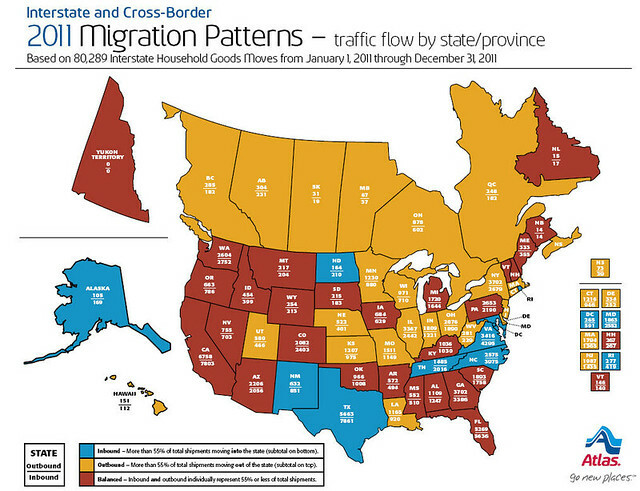 According to an annual report based on "80,289 Interstate and Cross-Border Household Goods Relocations from January 1, 2011 through December 31, 2011 by Atlas," Michigan "Migration" is balanced. What does that mean exactly? For the first time in 6 years, the inbound and outbound is 55% or less of total shipments. In plain english: the amount of people moving out of Michigan is roughly the same as those moving in. This has not been the case since 2004. Now that should put a smile on your face! Add these findings to a recent article I posted in late October about Detroit being the predicted leader in the nation for travel in 2012 by TravelClick, this should make the Michigan real estate and hotel industries feel very warm and fuzzy. Well all of us for that matter :). When did Diana Ross leave The Supremes? Can you name three Bad Boys-era Detroit Pistons? Shake off the winter blues by testing your Detroit pop culture knowledge. 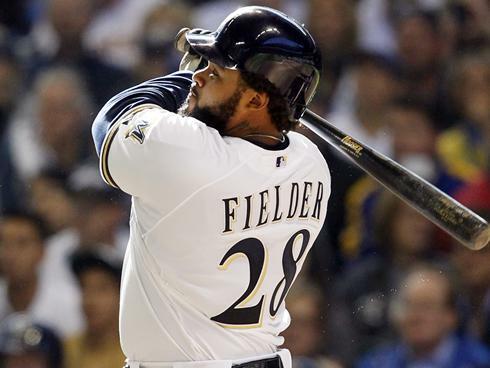 It’s time for 313 Trivia. The Detroit Historical Society will host 313 Trivia, three upcoming trivia nights at Hard Rock Cafe, 45 Monroe in Detroit, benefiting the Society’s Past>Forward fundraising campaign. On the first Wednesday of each month from February to April, the public is welcome to team up and vie for the title of unabashed Detroit pop culture experts. 313 Trivia will begin at 6:30 p.m. on Feb. 1; March 7 and again on April 4. There will be a $10 suggested donation per person at the door. Participants in 313 Trivia may choose to register as a team of three to five people, or register solo and be paired with a team of players. The games will feature five rounds of 10 trivia questions each. The team that takes first place in the competition will receive a complimentary Hard Rock Cafe tab for the evening, gift cards to the Hard Rock Cafe Detroit and two free admission passes each to visit the Detroit Historical Museum. Second and third place team members will also take home prizes. All 313 Trivia players will enjoy drink and appetizer specials at Hard Rock Cafe Detroit. Funds raised during the evening will go towards the Detroit Historical Society’s $20.1 million Past>Forward campaign, funding new and expanded exhibits, technology upgrades, educational offerings and enhancements at the Detroit Historical Museum, Dossin Great Lakes Museum and the Detroit Historical Society Collection. Detroit 313, the Society’s young professionals fundraising effort, is concurrently seeking 313 new members who will each pledge a total of $313 over the next three years to the Society as part of the Past>Forward effort. To participate in 313 Trivia, players may register online at pastforward.detroithistorical.org or at the door. All trivia questions will center on Detroit-based music, sports or entertainment, topics which directly tie into one of the Detroit Historical Museum’s upcoming additions. In 2012 the Society will unveil the Allesee Gallery of Culture. Visitors will recognize items in the exhibit as fundamentally Detroit – from Hudson’s to Gordie Howe, Motown to Albert Kahn. The gallery, established by local philanthropists Bob and Maggie Allesee, will also feature an interactive Culture Lab where guests will be able to make music, poetry or a video montage. Detroit Creative Corridor Center (the DC3) Director Matthew Clayson will travel abroad this week to share the best practices being used to accelerate Detroit’s creative economy as part of the North Africa Partnership for Economic Opportunity “Creative Industries” delegation to Algiers, Algeria and a panelist for the 2nd Annual U.S.–Maghreb Entrepreneurship Conference in Marrakech, Morocco. Clayson departs Wednesday for Algeria as part of a four-person “Creative Industries” delegation that includes Marete Webster from Americans for the Arts, John Cimineo from Creative Leaps International, amongst others. As part of the “Creative Industries” delegation, he will provide entrepreneurial training to Algerian creative practitioners. His topic of focus will be digital marketing and tools to reach a global audience. Then, on January 16, 17 and 18 Clayson will be presenting at and participating in the Conference which has the goal of bringing together private, social, and cultural sector entrepreneurs to identify and implement specific projects and programs in the areas of entrepreneurship, arts & culture, education & research and science & technology.